Elective surgery can be tricky to discuss with your family for a number of reasons. Patients are often worried that they will be judged for having a cosmetic procedure, and when the source of potential objections is family, the prospect can be even more daunting. The key is in helping loved ones understand that cosmetic surgery is an effort to improve the quality of your life, and broaching the subject tactfully can go a long way. While your family may always have your best interests at heart, only an experienced medical professional is qualified to give you the unbiased assessment you need to make an informed decision. A cosmetic surgeon has the tools and training to evaluate your goals with an elective surgery, and NYC plastic surgeon Thomas Loeb specializes in offering guidance that is both compassionate and comprehensive. Our staff will meet with you on an individual basis, offering personalized care delivered in a warm and friendly manner. During this meeting we will discuss various aspects of your procedure, including recovery time and best practices for ongoing care. This will give you the ability to confidently discuss the realities of your surgery with your loved ones and respond to their most relevant concerns. One of the most common concerns raised by families of our patients is the unnatural looking results that can come from an inexperienced plastic surgeon. Fortunately, our staff shares a wealth of experience that enables us to tailor our procedures to your body and goals for a completed procedure that enhances your natural aesthetics. 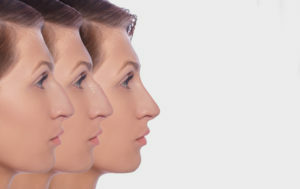 Part of our initial evaluation process before surgery is a careful study of you as an individual. During your consultation, our staff will pay careful attention to your specific pattern of facial expression or body movement in order to gain insight on how to best augment your appearance. We take a range of factors into account, including gender, skin type, and body composition, to unlock the potential of your appearance while maintaining a natural look. Context is often paramount in life, and discussing an elective surgery with your family is no different. Deep-seated concerns about altering a distinctive characteristic shared by many family members may arise during your conversation, and so it is important to set aside a dedicated time to discuss the procedure with those closest to you. We advise our patients to offer their family an appropriate forum to voice their thoughts and feelings, such as a small gathering over a meal. This can also give you the opportunity to express your reasons for desiring a cosmetic procedure to expand their understanding and encourage them to take a more positive view of your initiative in effectively resolving a longstanding issue. Although loved ones may initially be apprehensive about your decision, in the end the choice is yours. Anxiety about discussing major life choices with family members is totally natural, but discussing their concerns can help bring them to the understanding that cosmetic surgery was the right option for you. Contact the dedicated professionals at Dr. Thomas Loeb’s Manhattan offices to take a tangible step toward permanently improving your quality of life.